1. Experiment with a morning meditation. 2. Decrease stress to increase willpower & creativity. Studies have shown that stress decreases both your willpower and creativity. The simple solution? Decrease your stress, and you’ll have more brain power available for finding and getting your dream job. Meditation has been proven to help significantly with stress reduction, along with proper diet and exercise. So, I’d suggest taking a look at your life, and identifying one big change that you can focus on for the next 30 days. Not only will you be able to see the results of your efforts after one month, but it’ll also become a habit, making it much easier to continue doing (and seeing the results from). 3. Start looking for something better. The first two tips are more about using your mind and body more effectively. This one is all about having fun :). In order to discover your dream job, you’re going to need to look around a bit to see what inspires you. But rather than scanning traditional job sites based on a job title - what if you were a little more intentional about it? You could start by making a list of criteria of what’s most important to you in a job and company. What kinds of companies would you LOVE working with? What kind of people inspire you? Do you value freedom and flexibility, so you can work on a beach from anywhere… Or would you rather go into the office and have fun playing ping pong during breaks with fellow teammates? Then take that list and look for a company that’s doing something that inspires you… that you would feel proud to work for, and would fit your values and lifestyle. A good place to start is this dream job resource guide, containing 14 top-of-the-line job sites with thousands of opportunities at inspiring, game-changing companies. Cheers to discovering your dream job. 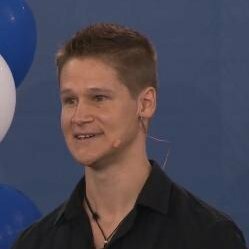 Ryan Niessen is a keynote speaker and co-creator of The Gateway Method: a simple, proven way to gain inside access to the world’s best employers and get your dream job. Connect with him on LinkedIn or Facebook.